Grid Snap is a drawing guide that allows paint strokes and tools to be placed at exact intervals. 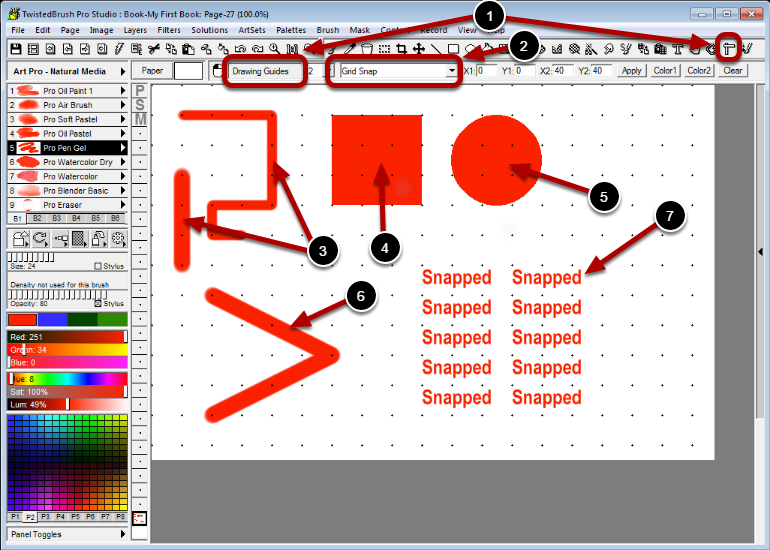 The Drawing Guide tool is used to create the Grid Snap. See the Topic on the Drawing Guide tool for more details. Grid Snap is the type of drawing guide selected.